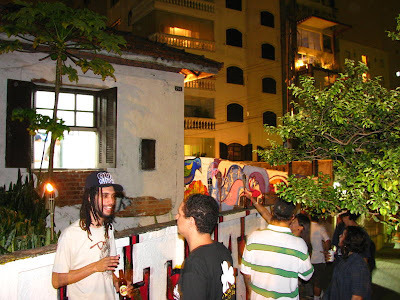 Recentemente eu fui na abertura de uma galeria, na Vila Madalena, bairro conhecido pelos bares, ateliers, galerias de arte e pela grande quantidade de artistas que moram, trabalham ou frequentam o lugar. Ate ai, nada demais... Mas, ao chegar ao local e conhecer o que se passa nele, fiquei muito feliz. 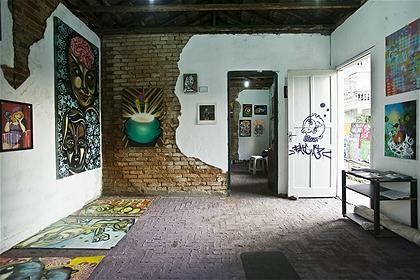 A proposta, nova aqui no Brasil, mas que vi em muitos lugares em Berlin e Londres, eh a de ocupacao de uma casa abandonada para a transformacao desse lugar em uma galeria de arte e moradia e atelier de seus idealizadores. O mais legal disso eh que a proposta aqui eh que seja uma galeria voltada a arte urbana, com artistas que produzem na rua. 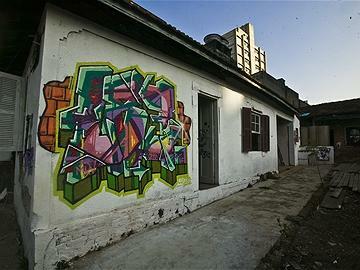 Eu vejo essa proposta como algo muito verdadeiro, pois a ocupacao de lugares abandonados e a transformacao de lugares degradados em espacos de arte eh proprio do graffiti e da street art. Trata-se do mesmo conceito e abriga trabalhos de artistas que tambem se ocupam de espacos urbanos, muitas vezes abandonados e muitas vezes tambem degradados e transformados em arte, sendo revitalizados e passam muitas vezes a ser admirados pela comunidade que por ali transita. A primeira exposicao conta com artistas vindos de varias partes do mundo..
Brasil: Armamento Visual, Beatriz Arruda, Bill Soares, Claudia Furlani, Davi Daimon, Eder Minetto, Leika Morishita, Ota, Povo, Rafael Lucena, Rafael Vaz, Roberto Bieto, Swk, True Souza e William Tokis. Eu apoio essa acao e torco pra que muitas outras galerias assim venham a ser abertas por todo o mundo. E que elas consigam prosperar e ter muito sucesso como autenticas galerias representantes da arte urbana ! 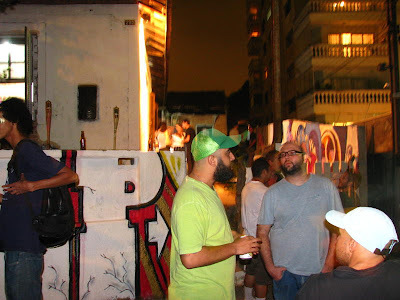 Recently I went to a opening of an art gallery at Vila Madalena in Sao Paulo, Brazil. This neighbourhood is known by their pubs, ateliers, art galleries and by their big number of artists who lives, works or just go there. Ok... Nothing special untill now... But, when I arrive there and I could know about what was happening overthere I got pretty happy ! The purpose of this gallery is very new here in Brazil but I could see many places like that in Berlin and London and I suppose that have many other countries with similar places too. It is an ocupation of an abandoned house to transform it into an art gallery. The cool thing in it is that this gallery is a street art and graffiti gallery. I believe that is a really truly purpose because the ocupation of abandoned places and the transformation of degradated places into art places is very graffiti and street art. It is a question of the same concept and shows works of artists who also takes abandoned urban places to make art. Many times these urban places are abandoned and degradated and when these guys go there to make their art these places got transformed, revitalised and by the way starts to be admired by the people who transit there. Sometimes these places changes to tourist places where many people goes there just to see the art made in there. Brazil: Armamento Visual, Beatriz Arruda, Bill Soares, Claudia Furlani, Davi Daimon, Eder Minetto, Leika Morishita, Ota, Povo, Rafael Lucena, Rafael Vaz, Roberto Bieto, Swk, True Souza e William Tokis. I support this action and I hope that many other galleries like that can open their doors around the world. 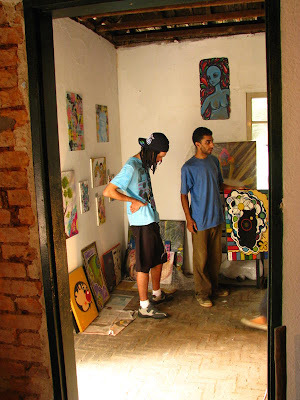 And that they could make much success as authentic galleries who represents the urban art !